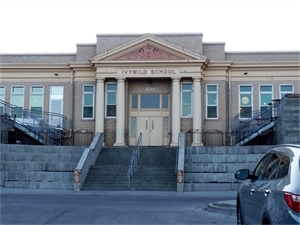 The Colorado Springs school district closed Ivywild in 2009 due to declining enrollment and the cost of maintaining a nearly 100-year-old building. It sat neglected and began to fall into disrepair until an enterprising group of local business owners with a vision of what it could be purchased the school in 2012. Armed with that vision and the support of the local community, Mike Bristol of Bristol Brewing Company, Joe Coleman of The Blue Star Lounge and Dining Room, and architect Jim Fennel of The Fennel Group, set about making it a reality. In mid-2013 their hard work came together and Ivywild once again opened its doors. It still maintains the historic look and feel of a school with the nostalgic sound of creaking wood floors and whimsical artwork on the walls of the main hallway which was originally painted by a former art teacher. The artwork in the Boys and Girls rooms is not to be missed. When walls were removed and reconfigured it was discovered that under the decades-old plaster were beautiful original rough red brick walls, which now lay exposed. 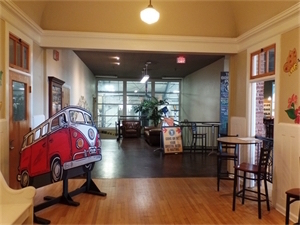 The entire north half of the school is home to Bristol Brewing Company, housing the brewery, pub, dry goods store, meeting space, and brewery offices. The south end is occupied by The Principal’s Office, an upscale coffee house and full bar stocking Colorado-made liquors and specializing in original creations, Libations For The Troubled. Old School Bakery provides unique pastries and baked goods for visitors to Ivywild and for The Meat Locker, a busy kitchen preparing fare for both Bristol and The Principal’s Office. The Gymnasium sits in the center behind the main hall and hosts events, business meetings, art and craft markets, wedding receptions, concerts by up-and-coming artists, and even old-fashioned dance parties. So, whether meeting friends, picking up some fresh veggies at the summer Farmer’s Market, grabbing lunch or dinner and a beer or a late-night cocktail — or maybe you just like old buildings — going back to school at Ivywild is a must, and kids are still welcome!